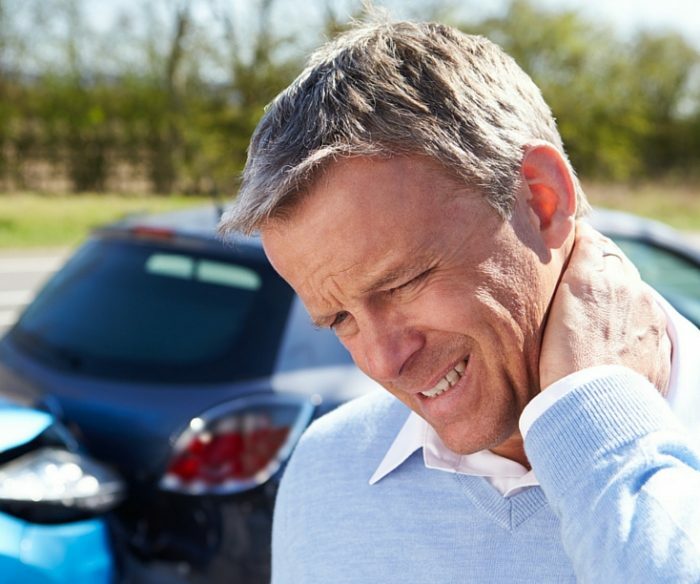 Whiplash can be a debilitating condition that commonly occurs after a motor vehicle accident or other high-impact event. Capital Clinic Physiotherapy has 20 years’ experience delivering successful outcomes for our clients in the assessment and management of whiplash injury. A whiplash sprain is characterised by your head suddenly moving forwards and backwards due to an external force. This most commonly occurs in motor vehicle accidents. The prevalence of serious structural damage to the neck is very rare in whiplash, however a significant protective response occurs which can result in pain and muscle spasm. 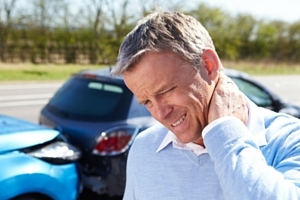 It is generally accepted that 50% of people with a whiplash injury fail to recover within the first 2-3 months. Of these, almost half will have a complex set of symptoms which include multiple pain areas radiating into the shoulders, head, or jaw. Our Physiotherapists follow best practice guidelines for treating whiplash and we are often able to predict those who may struggle to improve so that they can receive appropriate treatment early in their recovery. When seeking treatment for whiplash it is important that your Physiotherapist is experienced and familiar with the guidelines. If they follow the treatments which are proven to help, then you are more likely to recover. We have many Physiotherapists with specific training and experience in the identification and treatment of complex whiplash cases. Principal Physiotherapist, Rob Erickson, completed a post-graduate Masters in Musculoskeletal Physiotherapy from the University of Queensland in 2005 – a world leading institution for research into the management of whiplash injuries. Since then, Capital Clinic Physiotherapy has developed a comprehensive management pathway based on up-to-date research and best-practice guidelines. Treatment is specifically tailored to a client’s needs, combining Physiotherapy and Exercise Physiology expertise with a Pain Education Program to ensure optimal care, treatment and rehabilitation. The treatment you receive in the early days after your accident can have a significant impact on your recovery. Early management at our clinic focuses on strategies to help you move and gradually return to your usual daily activities. This predominantly consists of exercises to improve mobility and muscle control of the cervical spine. Passive strategies such as bed rest and soft cervical collars usually delay recovery and lead to poorer outcomes. After a week or so, manual therapy may be used to relieve pain and improve range of motion. This hands-on approach is always done in conjunction with a supervised, graded exercise program. Pain education may also be provided where necessary. A collaborative, team approach is taken with the aim of restoring an individual’s function, good movement patterns and a safe and early return to work and activities of daily living. 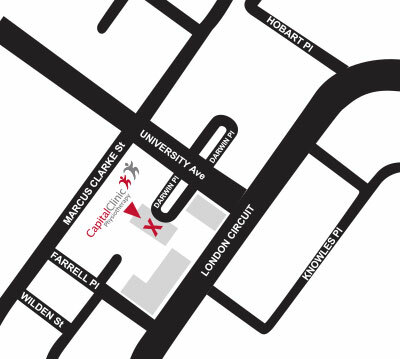 Located on the New Acton/ANU side of the City, directly across from the police station and the law courts.